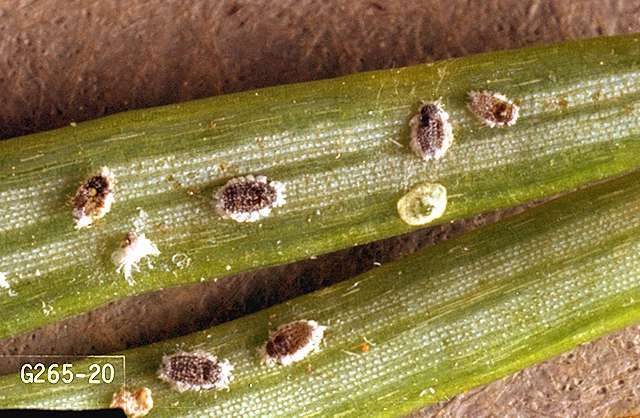 Pest description and damage This aphid-like insect feeds on new needle growth of Douglas-fir. Adelgids appear as woolly or cottony tufts on the undersides of needles; heavily infested trees appear to be flocked. 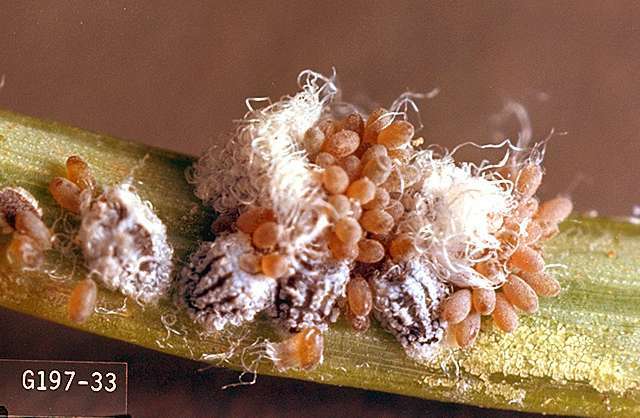 Small purplish insects are found underneath the cottony tufts. Adelgid feeding can cause needles of Douglas-fir to become distorted or bent and yellow. Infested needles turn brown and sometimes drop prematurely. 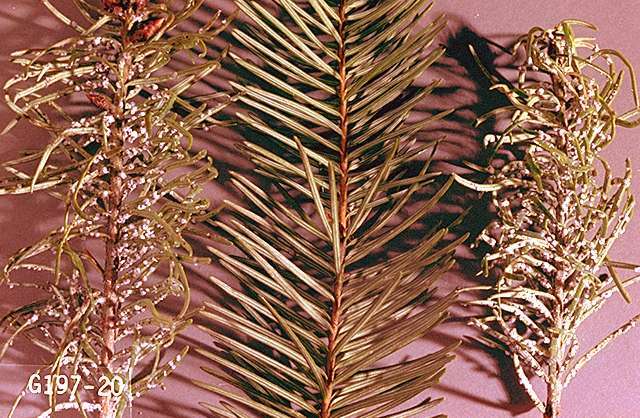 This pest is a serious concern in Christmas tree plantations, but is less important in the landscape. Cooley spruce gall adelgids also infest spruces, but the distinctive galls on spruce do not occur on Douglas-fir. 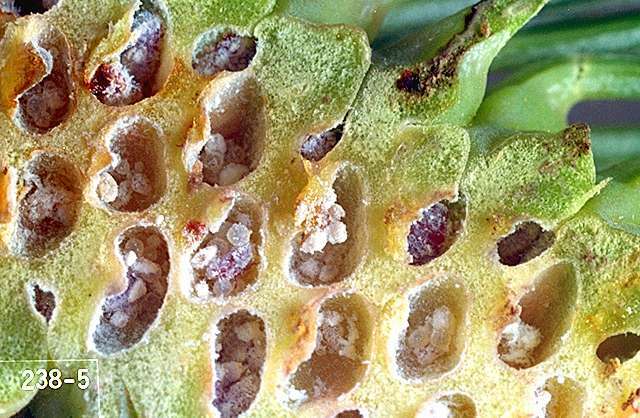 There are a number of species of adelgids that form galls on spruce. If control is not obtained, it may be that these less studied species have slightly different life cycles, life histories, behaviors and/or susceptibility to pesticides. Biology and life history The biology of this pest is complex with the insect alternating between Douglas-fir and spruce and also cycling on the Douglas-fir. Plant Douglas-fir and spruce as far apart as possible. Hand-wipe small infestations.